Those special days. | thoughts.are.dots. When your face hurts from genuinely smiling so much. When your heart aches from being so full, and all you can do is grin it out. When you shake your head in disbelief at how lucky you are to be living what you’re living, and how many incredible people surround you. You are proud, content, secure, and grateful. 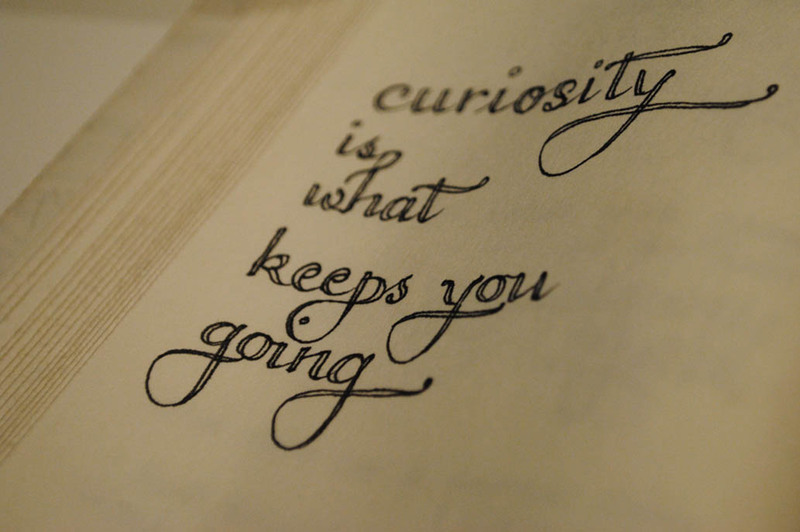 Get curious about those days; you’re probably on to something. Who were you with? • What is your history with them? How do they make you feel? Who do you become when you are around them? Why? Where were you? • What were the comforts surrounding you? The challenges? The sights, smells, and sounds? Who were you because of those cues? What was happening? • Doing? Being? Learning? Sharing? Making? Thinking? Feeling? Why? Sometimes the answers are far from obvious. Dig deep. Get to those really ninja things that we can so easily overlook. For example, Colin Farrell hit on the underlying dots when he connected his old drug habits and his current Bikram Yoga practice: they both satisfy his need for ritual. When you’ve got your answers, that’s when it gets fun. That’s when you get to use them as your tools & starting blocks, as you become an intentional architect of your own life. Here, you can design your everyday so that more of those special little things are peppered throughout. Slowly yet suddenly, those special days then become the default rather than the exception. Just make sure you’re ready for the pain. Great risks, great rewards. • Be aware. Notice. Question curiously. Adjust. Repeat. • Brene Brown on The Power of Vulnerability.